Nadine making her way up the rope. Kristie spotting Olga on her Bench Press. Tanner going legless on his climbs. Chris and Saturday's 9am class heading out for their 400m run. You know summer is knocking on the door when the parking lot looks like this. 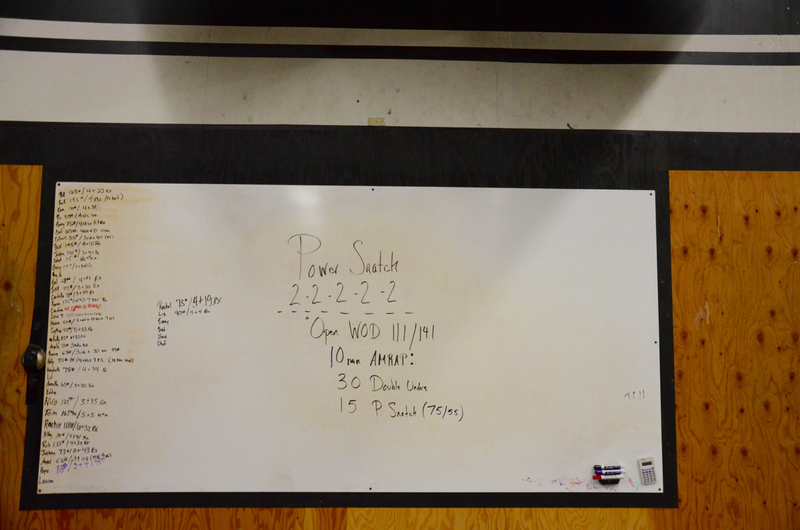 Matty and Read tag teaming Saturday's running barbell couplet. Tammy, Leila, and Danielle setting up their team rack during Sunday's AMRAP. How to spot a Bernardi - no sleeves, strong shoulders, and Nano 2.0's....welcome Michael!